Do I need to keep a copy of my return? Do I need to keep a copy of my return? What if I can’t find the copy of my return? This is a common question for accountants, and has a somewhat complicated answer. The standard answer is ‘Yes, you should keep a copy of your return for 3 years if you filed a claim or 2 years after the tax was paid.’ If you filed a loss, however, you should keep a copy of the return for 7 years. Depending on the type of return filed, or the circumstances surrounding your return, you may need to keep a copy of it for longer. It can get complicated fairly quickly. Fortunately, there is a solution. The IRS will provide you with a transcript copy of your return for free, or a complete copy of your return for a nominal fee. A transcript will typically suffice for most application needs. It includes your marital and filing status, adjusted gross income and taxable income. It will also include line items and information from forms and schedules filed with the return. Transcript copies are available for the current year, as well as three previous tax years. To obtain a copy of your tax transcript, visit IRS.gov and use the Get Transcript service, or call the IRS at 800-908-9946 and follow the prompts. Copies will be sent to you by mail at the last address on record. 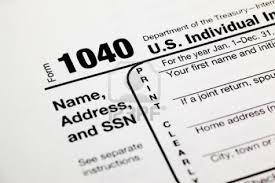 Complete copies of a tax return will cost $50 and may take up to 75 days to process. Have questions about your return or how to obtain a copy? Contact CPA Consultants LLC today for help with this or other tax related questions you may have.